MEXICO CITY — FROM a lectern covered in a lacy, white cloth at a provincial Cuban church center last month, Roberto Veiga González and Lenier González Mederos took turns talking before about 60 intellectuals and activists about the value of political dialogue. Not, perhaps, the most electrifying topic, but if politics is the art of the possible, it is a skill that the pair hope Cubans can master after wearying years of bombast and vitriol. “A plurality of views can coexist,” said Mr. Veiga, a lawyer and former magazine editor who, with Mr. González, has come to represent an emerging, less confrontational, approach to Cuban politics. If that is a difficult view to peddle in Washington, it is an even tougher sell in Cuba, where the state has, for decades, stifled debate and the government and its opponents are bitterly divided. “We Cubans are the enemies of moderation,” said Mr. González, a former journalist, by telephone from Havana. Mr. González, 33, and Mr. Veiga, 49, have been criticized as too timid by some in the opposition. But their dogged efforts to get Cubans talking have won them a strong following in Cuba’s tiny civil society. They are leading figures in an incipient culture of debate that has taken root in recent years, largely as President Raúl Castro has allowed greater access to cellphones and the Internet, and lifted some restrictions on travel, but also as the United States has lifted restrictions on Cubans’ visiting their relatives. The pair reflect a breakdown of the binary politics of pro- and anti-Castro Cubans that dominated for decades, and the development of a more diverse range of opinions, especially among younger Cubans, as they look to the era that will follow the Castros’ deaths. As editors, until recently, of a Roman Catholic magazine, the pair have created a space where dissidents, dyed-in-the-wool communists, artists, exiles, bloggers and academics can discuss national issues, both in print and at seminars held in a Catholic cultural center in Old Havana. Their new project, Cuba Posible — part forum, part online magazine, part research organization — aims to do the same, and will test the government’s threshold for debate as well as Cubans’ appetite for finding a third way. Serious and circumspect, Mr. González and Mr. Veiga lack the caustic eloquence of Yoani Sánchez, whose blog Generation Y has millions of readers, and the daring of some dissidents. They tread carefully, advocating political change without rupture and keeping some distance from the Castros’ most outspoken adversaries. THE two have become a double act, hosting debates together, traveling together for conferences and studying together in Italy for doctorates in sociology (Mr. González) and political science (Mr. Veiga). Both are Roman Catholics. Mr. González was raised in a religious family, and Mr. Veiga joined the church as an adult. Their faith, they say, fuels their quest for solutions. Still, their styles are different: Mr. Veiga, a lawyer from the city of Matanzas, about 60 miles east of Havana, is preoccupied with issues like constitutional overhaul and chooses his words carefully. Mr. González, who studied media and communications at the University of Havana, is more direct than Mr. Veiga and, acquaintances say, less patient. Cubans and political analysts say the pair are trusted and respected, even by those whose posture is more confrontational. Katrin Hansing, a professor of anthropology at Baruch College, who has known both men for years, said they were thoughtful and courageous. When they took over Lay Space, the Cuban Catholic magazine, in the mid-2000s, Mr. Veiga and Mr. González refocused it, to include essays from academics, economists and political scientists. They wrote editorials on the timidity of the government’s economic overhauls and the options for a transition to democracy. Their debates drew a spectrum of voices that Philip Peters, president of the Cuba Research Center in Virginia, said he had found nowhere else in Cuba. Some discussions were slow and academic, others surprisingly frank. 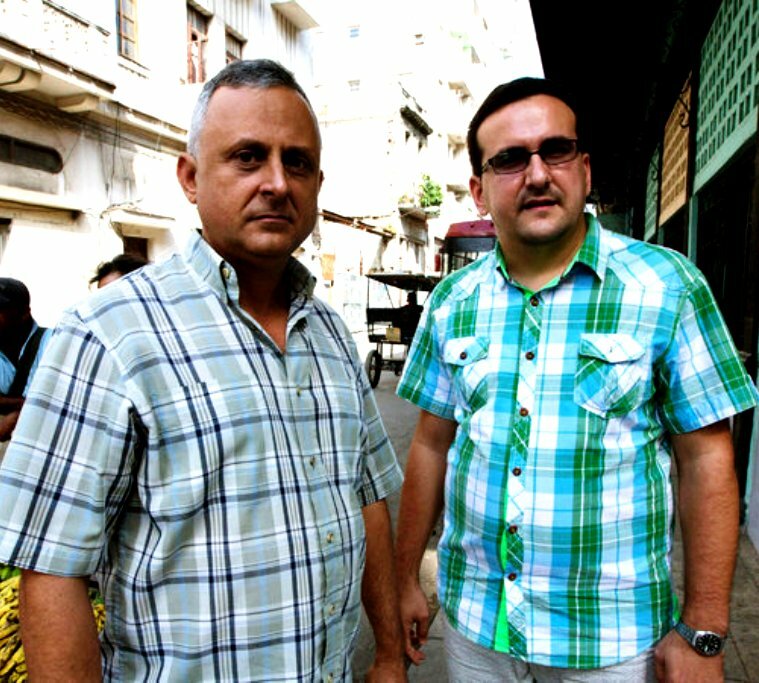 Mr. Veiga and Mr. González are not the only, nor the first, Cubans debating national politics. Publications, including New Word, the magazine of the Archdiocese of Havana, have bluntly urged much faster economic changes. Temas, a cultural magazine, has for years held monthly discussions that are open to the public. 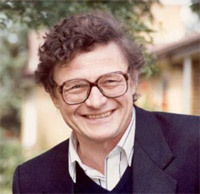 Antonio Rodiles, a physicist, has gained recognition for hosting discussions and jam sessions that are broadcast online under the name State of SATS — an activity for which he has been arrested more than once. The middle ground, too, can be fraught. Mr. González set off a fierce debate among bloggers and intellectuals last year when, at a conference in Miami, he advocated a loyal opposition — one, he explained, that sees the government as an adversary but not as an enemy. Others disagree. “I cannot sit and debate with a government in a position of weakness, where I am not their equal,” said Walfrido López, a government critic who has been living in the United States for six months. Mr. López said that, although he appreciated Mr. Veiga and Mr. González’s efforts, he thought they were too timid and should have a more open relationship with dissidents. “A space is either free and open, or it’s not a space,” he said by telephone. In May, that price was to lose their space in the church. Mr. Veiga and Mr. González resigned from Lay Space, citing the polemic that they had caused within “certain sectors of the ecclesiastical community.” The two refused to comment in a telephone interview and in emails on their reasons for leaving the magazine. The storm that ensued was a measure of their following: Bloggers and academics reacted with dismay, quibbled about whether they had jumped or been pushed, and argued about what their departure meant for civil society. Whatever the reason, Mr. Veiga and Mr. González now hope to weave a new strand with Cuba Posible. The fuss that erupted after he and Mr. Veiga left Lay Space took the two by surprise, he said, and convinced them that their work was worth continuing. Not that Mr. González particularly liked the attention. “It’s nice to be stopped on the street and someone salutes you for an article you’ve written,” Mr. González said. “But, actually, we’re both pretty shy. Lenier Gonzalez of Espacio Laical has written an insightful and challenging analysis of Cuba’s political future. It has been reproduced as a special study “From the Island # 19) by the Cuban Studies Group. 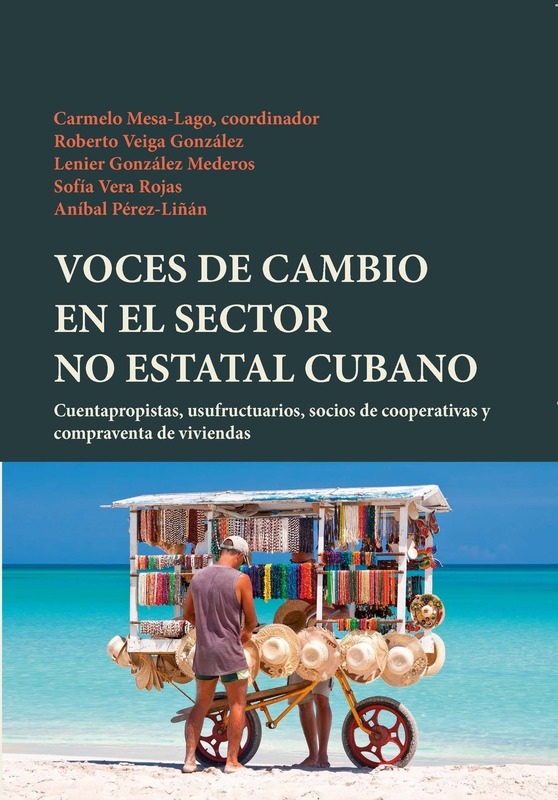 it is available here in English: Lenier Gonzalez, From Collision to Covenant: Challenges Faced by Cuba’s Future Leaders. A Spanish language version is here: Lenier Gonzalez: De la colision al pacto,desafios del relevo politico en Cuba. Espacio Laical has published a debate on the future of the Communist Party in Cuba. The full document is located here: Espacio Laical, EL PRESENTE Y EL FUTURO DEL PARTIDO COMUNISTA DE CUBA. This discussion is courageous and challenging, as it pushes the realm of public discussion of political issues further along. Espacio Laical makes a valuable contribution to political discussion in Cuba. The concluding commentary and some questions from Lenier Gonzalez are included below as well. It is worth a careful reading., but unfortunately it is available only in Spanish at this time. Si nos atenemos a las contradicciones, dogmatismos e incongruencias contenidas en el Documento Base, no creo que la Conferencia esté en condiciones de replantearse el papel del PCC de cara al presente y al futuro de Cuba. Sin embargo, seguramente de la Conferencia saldrán líneas de acción para perfeccionar algunos aspectos del funcionamiento del PCC, pero sin constituir cauces programáticos para reconstruir y relanzar su hegemonía política. Esto sería realmente lamentable, pues la llamada generación histórica que hizo la Revolución cubana, y específicamente el presidente Raúl Castro, tienen las condiciones materiales y simbólicas necesarias para desatar y llevar a vías de éxito un proceso de este tipo. Toda reforma que aspire a ser exitosa necesita de una fuerza política que cumpla el cometido de construir consensos en torno a un proyecto común. El éxito de las reformas del presidente Raúl Castro y su continuidad en el tiempo dependen de la capacidad que tenga el actual gobierno de concertar a toda la diversidad nacional en su seno. Un partido político renovado, inclusivo y aglutinador de los más amplios intereses nacionales sería una garantía para la estabilidad nacional y el éxito de las transformaciones en curso. El redimensionamiento y democratización interna del PCC -con el consecuente ensanchamiento de la participación ciudadana- es el gran tema pendiente en la agenda del presidente Raúl Castro. Y en ello podría radicar el éxito de su mandato. Además, no podemos desestimar el gran costo político que tendría para el gobierno no atender de manera suficiente el anhelo generalizado de democratización del sistema político. Un amplísimo sector nacional percibe a la Conferencia del PCC como la última oportunidad de la generación histórica para moverse en ese sentido. Por tanto, desestimar este anhelo de seguro impactará con fuerza sobre el campo político cubano. Es muy probable que de no darse cambios en ese sentido, el amplio sector moderado-reformista, cansado ya de esperar hasta la eternidad, verá cómo se vacían sus filas definitivamente. Ello quizá no provocará un fortalecimiento de la disidencia interna, pero sí propiciará gran frustración, apatía y distanciamiento en las fuerzas vivas nacionales del gobierno cubano. Para ese entonces, al gobierno le será ya muy difícil reconectarse nuevamente con estos sectores. ¿Será capaz el gobierno cubano de propiciar un debate abierto y horizontal donde las fuerzas patrióticas puedan consensuar libremente un “proyecto de país” en el que quepamos todos? ¿Será capaz la Conferencia del PCC de reinventar, con creatividad, la rigidez actual de los marcos que dictan qué es revolucionario y qué contrarrevolucionario? ¿Podrá el gobierno cubano implementar reformas modernizadoras que conjuren definitivamente la posibilidad de un escenario de desestabilización interna y una potencial (e inaceptable) intervención militar extranjera en Cuba? ¿Seremos capaces los cubanos de acompañar un camino de reformas graduales y ordenadas si el actual gobierno cubano (o sus sucesores) iniciasen esta gestión de forma seria y responsable? Como ciudadano comprometido con los destinos de mi patria, aspiro a que la Conferencia del PCC y el presidente Raúl Castro asuman sin dilaciones esta responsabilidad histórica y salden este desafío (enorme) satisfactoriamente, por el bien de Cuba y de los todos los cubanos. The Cuban government should recognize the political plurality of the nation and consequently help channel the institutionalization of those new utopians inerted in the Cuban reality, through consolidation of an open public space that would welcome debate between each of these Cuban groups. Taking on this challenge bears implicitly the radical redesign of state institutions and the Cuban Communist Party to be able to effectively accept in its midst all this diversity that we have been talking about. This should lead us to do without a “State ideology” that, in practice functions as a straight jacket that makes invisible and constraints all of the national diversity. The Martian republic “with all and for the good of all”, because of its ecumenism and universality, continuous to be the most suitable threshold to think Cuba in the beginning of the 21st century. and Culture Commission for the Archdiocese of Havana. Currently teaches Communications at the San Carlos and San Ambrosio Seminaries. Academic Coordinator for the MBA program at the Murcia Catholic University, Centro Cultural Padre Varela.